LAHORE: (Thursday, July 5, 2018): Punjab University Vice Chancellor Prof Niaz Ahmed Akhtar has said that Punjab University would provide community service and play vibrant role in resolving psychological issues being faced by the society. He was talking to media after inauguration of Mental Health Integrated Services at Centre for Clinical Psychology’s old building at New Campus here on Thursday. 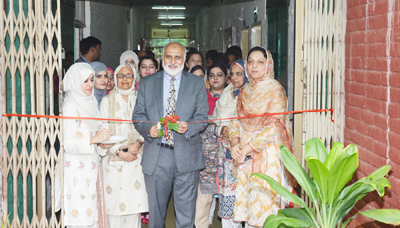 Director Centre for Clinical Psychology Dr Saima Dawood, faculty members and students were present on the occasion. Addressing the inaugural ceremony, Prof Niaz Ahmed said that majority of people was not even aware of mental health problems they were suffering from. He said that the administration would provide facilities to the centre for rehabilitation of people facing various types of psychological traumas and other problems. 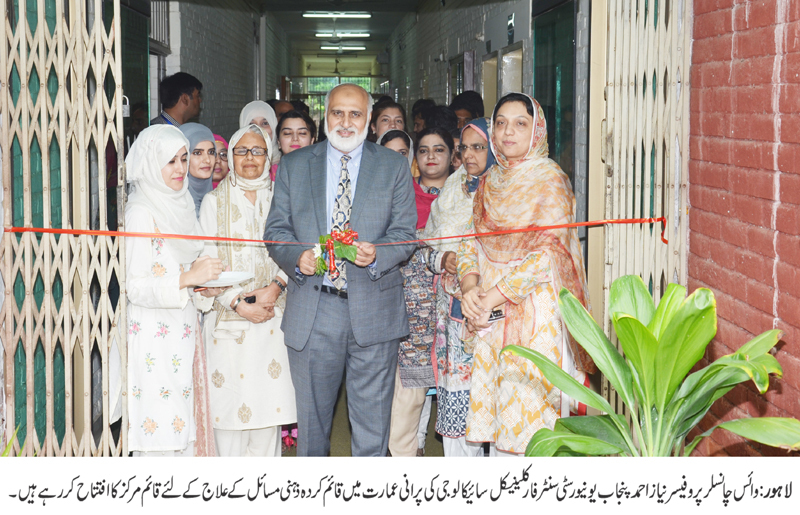 Dr Saima Dawood said that CCP provided clinical services for diagnosis and management of psychological disorders for children and adults. She said that CCP also provided counseling, assessment, diagnostic, speech and language pathology services to the people. She said that Living Institute for Slow Learners (LISL) had been set up to provide special clinical and educational services to children with special needs. Earlier, the VC paid visit to various sections of the department.